Harry Reid got into trouble with children with cancer last week. The NIH includes children in some of its cancer research programs. It became a victim of the government shutdown. The House wants to pass bills to fund NIH as well as other popular programs that are being shutdown, but the senate refuses to go along. 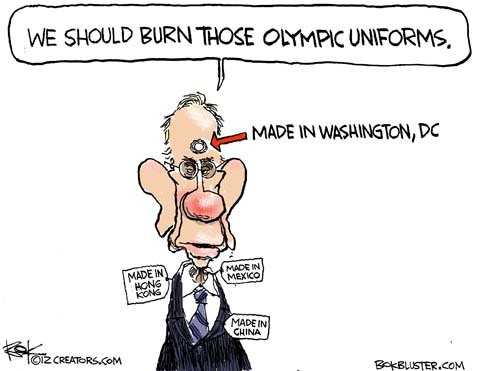 CNN’s Dana Bash asked Senate Majority Leader Harry Reid, “But if you can help one child who has cancer why wouldn’t you do that?” Reid: “Why would we want to do that? I have 1,100 people at Nellis Air Force Base who are sitting at home.” He then went on to call Bash “irresponsible or reckless”. 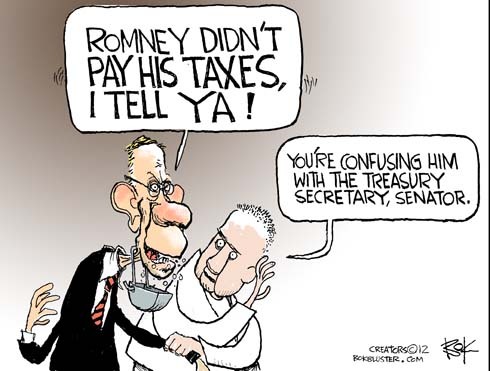 Reid later apologized but still refuses to pass any bills the don’t include funding for everything including ObamaCare. The Atlantic Wire posted the headline, “Come on, no. 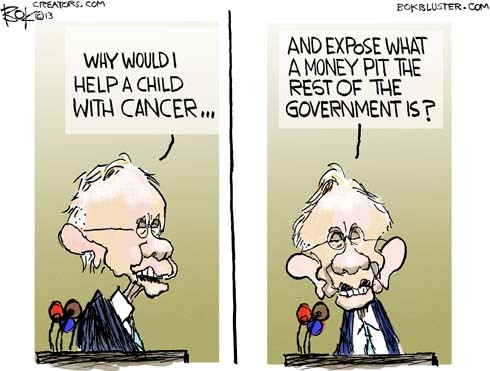 Harry Reid Doesn’t Hate Kids With Cancer”. The 1974 Budget Act requires both houses to pass a budget every year. The senate is four years in arrears. House Republicans hatched a plan on Friday to raise the debt ceiling, but only if each chamber passes a budget. 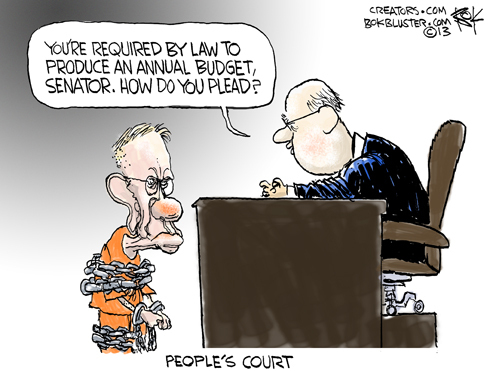 If senators don’t pass a budget, they don’t get paid. This sounds suspiciously similar to Charles Krauthammer’s Friday pitch in his Washington Post column, though he didn’t mention the pay part. 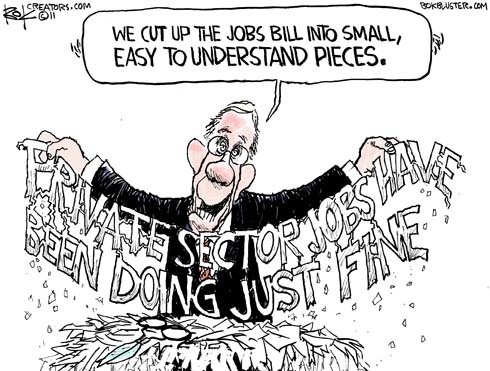 Kimberley Strassel, in the WSJ, details how Harry Reid’s rope-a-dope tactics “hide the party’s spending ambitions” and “casts the Republicans as the cause of every legislative crises”.